You can view a Shed as a project or as an evolving family. It will not surprise you that we view a Shed as the latter. The enquiries to the existing 3 Sheds is now more vigorous and word of mouth is working. 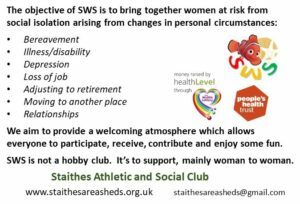 People are now well aware of the potential that Sheds have to help them and those cared for and about. 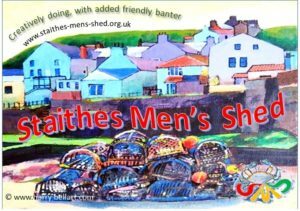 At the other extreme, the Staithes Sheds are in the wings. 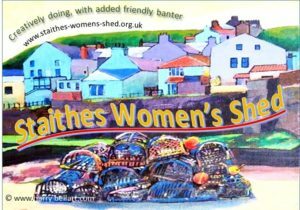 We have made our first purchase – postcards to project the objectives and ethos of the two new Sheds. The Sheds will not be opening for a while because first the Sheds first need to be fitted out and equipped. 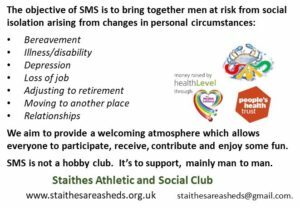 We hope as that begins, prospective Staithes Shedders, or family and friends, will be attracted to join in. We’ll also be making contact with existing local projects and prospective ones.